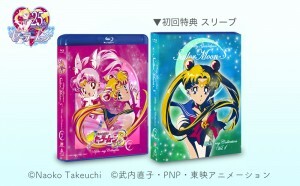 After a long delay the next Japanese Blu-Rays of the original Sailor Moon anime are being released. 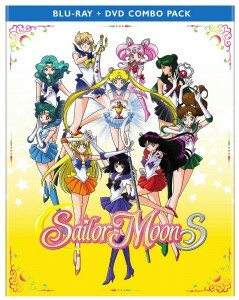 Following a fairly aggressive schedule for the first season and Sailor Moon R, which saw the second volume released in December 2017, the Sailor Moon S releases didn’t continue with the same schedule. We now have details of those releases, included box art, release dates and vendor exclusives. Volume 1, including episodes 90 to 111, will be released November 14th 2018 while volume 2, covering episodes 112 to 127, will be out on January 9th 2019. This is an odd way to separate the volumes with 21 episodes on four discs in the first set and only 16 over 3 discs in the second. The price reflects this unevenness as well with vol. 1 starting at 15,892 yen, about $144 US, and vol. 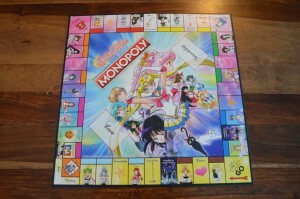 2 starting at only 11,880 yen, about $107 US. In both cases there is a more expensive versions which, as far as I can gather, only has to do with the vendor exclusive which may prove difficult to get outside of Japan. I paid the premium for the first Blu-Ray but with my Canadian shipping address I wasn’t able to take advantage of the Amazon exclusive so opted not to bother with later sets. 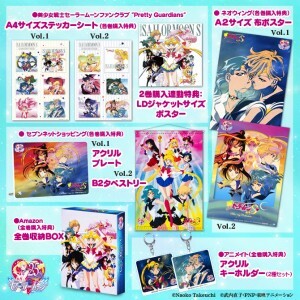 The first set has Sailor Moon on the cover with the inside cover including Sailor Moon and Sailor Chibi Moon, who first transforms into a Sailor Guardian in the first half of Sailor Moon S. The second set has Sailor Uranus, Neptune and Pluto on the cover and Sailor Neptune, Uranus, Pluto and Saturn on the inner cover. 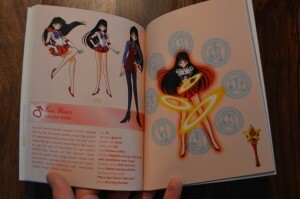 Hotaru, who eventually becomes Sailor Saturn, first appears in episode 112 making all of her appearances on the second set. All of these have repurposed laserdisc cover art. Since I’m in the middle of a move all of my laserdiscs are in boxes so I don’t have any photos on hand for comparison! Both volume 1 and volume 2 are currently available to pre-order from sites like Amazon Japan. 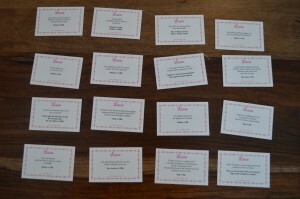 We can see a number of the special incentives that come with ordering these from certain retailers. Ordering from the Japanese Sailor Moon Fan Club will include a sticker sheet while ordering both will include a laserdisc type of poster. Ordering volume 1 from Seven Net will include an acrylic plate and volume 2 will include a tapestry. Ordering both sets from Amazon Japan will include a box to store both sets. 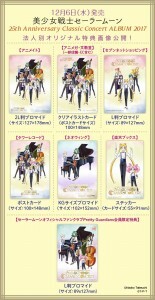 Animate orders will include an acrylic key holder for each set. Finally ordering from Neowing will include a cloth poster. As I’ve mentioned in previous reviews of these Blu-Rays, the quality isn’t great. While the original Sailor Moon anime was animated on cels and then converted to film before being put on standard definition video these HD versions were not authored from that film source. Instead the standard definition (480i/p) video source used for television, VHS, laserdisc and DVD, is used as a source and converted to high definition using software filters to extrapolate those extra pixels. Think of taking a small image and stretching it out so that it’s a bit fuzzy. The image this produces is certainly decent compared to the Viz Blu-Ray releases we’ve gotten but certainly nothing close to the movie releases which are authored from film source. Note that these are Japanese Blu-Ray sets with no English dialogue or subtitles. 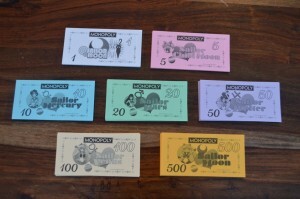 These might have little use to many English speaking fans. 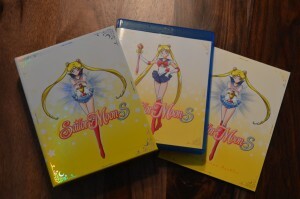 Those looking for a similar quality Blu-Ray set with English audio might be interested in checking out Madman’s release of season 1, Sailor Moon R, Sailor Moon S and Sailor Moon SuperS part 1. These releases have comparable video quality to the Japanese releases which are quite a bit nicer looking than what Viz has released in North America. 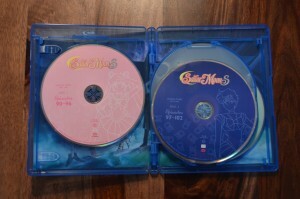 The problem is that these Blu-Ray discs are region B while North American and Japanese Blu-Rays are region A. This is good news for those in Australia as well as other regions covered by the Blu-Ray B region including Europe, Africa and the Middle East but bad news for those of us in region A such as North and South America and South East Asia. Not sure where you live? Check out this handy Blu-Ray region map. As with DVD players there are region free Blu-Ray players! Something I haven’t gotten around to getting yet. 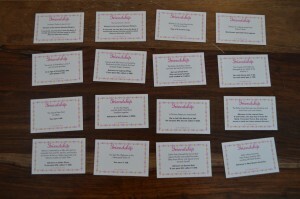 Interested in getting these? Have you gotten any other sets? Check out images of the Fan Club exclusives below. 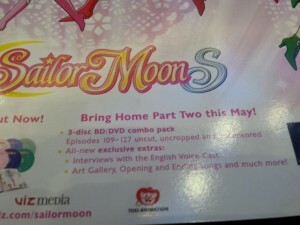 We finally have a specific release date for Sailor Moon S Part 2 and it just squeaks in to Spring on June 20th! 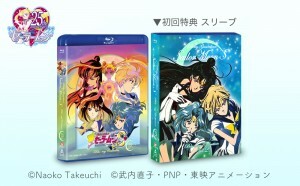 The DVD and Blu-Ray sets are up for preorder on Right Stuf and these include a June 20th release date. The DVD set has an MSRP of $39.99 while the Blu-Ray is priced at $69.99. Right Stuf has them for $35.99 and $62.99. We also have a good look at the box art including the back which has details about the release. We’d previously learned from Viz’s Moon Panel at Anime Boston that we’d be getting the sets in June but we didn’t have a specific release date until now. 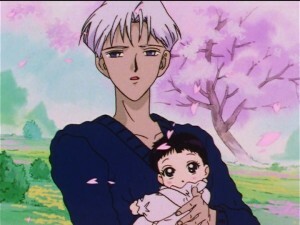 Sailor Moon S Part 2 includes… well the second half of Sailor Moon S. This covers episodes 109 to 127 which concludes the story of Hotaru, the Death Busters and all that fun stuff. 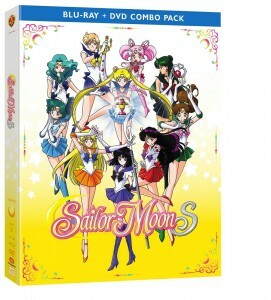 It includes Japanese audio as well as Viz’s new English dub of the original Sailor Moon anime. This will be the first time these episodes are heard in English as Viz has no longer been releasing episodes in an effort to promote their home video releases as they’d done in the past. We finally have confirmation from Viz Media that the second part of Sailor Moon S will be released on DVD and Blu-Ray in June. 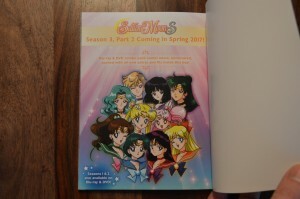 We previously had only learned, based on an insert included in the Sailor Moon S Part 1 release, that it would be out in Spring 2017. The first day of Summer is June 21st so if the release is out before the 21st it will technically count as Spring! All of this was announced by Viz Media at Anime Boston’s Moon Panel which was held this past Saturday April 1st. Twitter user Absolute Zero Now was live tweeting the panel and snapped a couple of relevant photos. The first is of a slide stating the release would be out in May but the second stating it would be out in June. 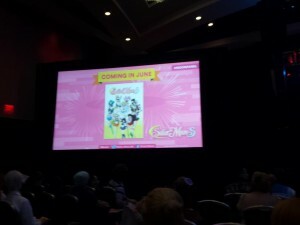 This was confirmed by Viz Media as being the updated and correct date at the panel and on Twitter. This release will include episode 109 to 127, concluding the Sailor Moon S season with the battle with Mistress 9 and the appearance of Sailor Saturn. The set will include the new English dub by Viz which has not previously been heard. Bonus features will include interviews with the cast, production art and more. 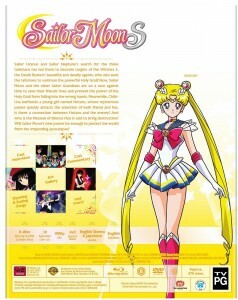 This release still does not have a listing on the stores of online retailers such as Amazon and Right Stuf. These should be up in the coming months as a specific release date is determined. 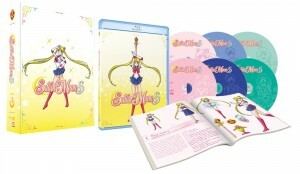 Sailor Moon S Part 1 was released on DVD and Blu-Ray yesterday, November 15th. It is available in stores across North American and from online retailers. 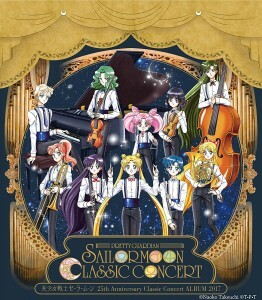 The set includes episodes 90 to 108, which covers half of the season introducing Sailor Uranus and Neptune and then covering the return of Chibiusa. The episodes are in Japanese with English subtitles and dubbed with Viz’s new cast which did Sailor Moon Crystal and the last two seasons. The English episodes have not shown up on any streaming sites like Hulu and Yahoo! View yet. The dubbed episodes are available to view on Amazon Video. The digital price is $3.99 per episode and $39.99 for the whole half season in HD. It doesn’t look like a standard definition version is currently available on Amazon Video. The entire series in Japanese with English subtitles remains available subtitled on Hulu, Neon Alley, Yahoo! View and Tubi TV. 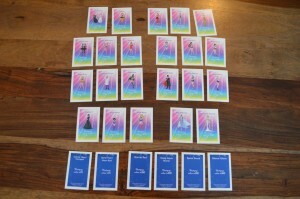 Have you gotten your set yet? I’m still waiting to get mine in the mail! 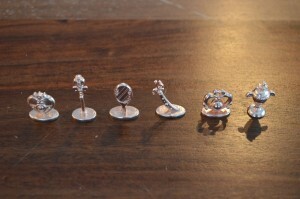 Support the site by ordering the set from Amazon using the links below. This Friday there is yet another Moonlight Party planned. 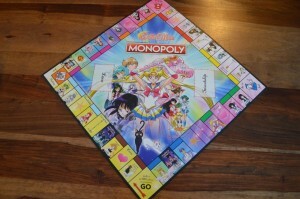 These events, hosted by Viz, are a sort of online pyjama party to celebrate all things Sailor Moon. In the past most of these have been accompanied by the release of some dubbed episodes of Sailor Moon or Sailor Moon Crystal on Hulu. This is done as advertisement for an upcoming home video release. 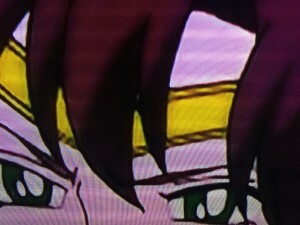 Well now we are getting a Moonlight Party ahead of next week’s release of Sailor Moon S on home video and it doesn’t look like there is any plan to have any dubbed episodes of Sailor Moon S released online at this time. Details for the Moonlight Party have been posted to the Facebook Page for the event and the YouTube video of the event itself. Nothing in either of these mentions that we should expect any episodes. In the past when episodes were released along with a Moonlight Party this was always announced ahead of time. There will be dub clips from the new episodes, supposedly something more than what we’ve already seen, as well as trivia questions, prizes and all the usual fun we get with these Moonlight Parties. I don’t post this to discourage you from joining in! The event should still be a lot of fun. I had speculated when this event was first announced that it could come with some free to watch dubbed episodes and it seems like, all things considered, this is unlikely to be the case. You can watch the event using the embedded video below. It will be at 6pm Pacific Time, 9pm Eastern Time. 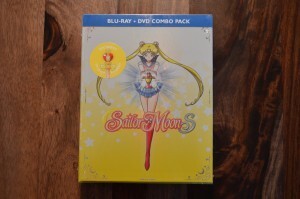 Want to see some dubbed episodes of Sailor Moon S? 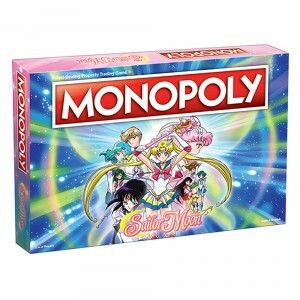 Well then you really should order Sailor Moon S part 1 on DVD or Blu-Ray using the links below. 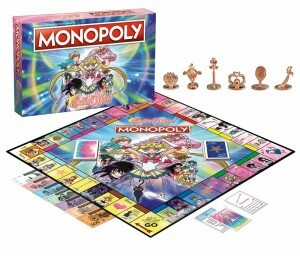 The set comes out next Tuesday, November 15th and will contain the first half of Sailor Moon S.
After waiting for an entire year we finally have some concrete details about Viz’s release of Sailor Moon S. This weekend at Anime Expo it was announced that the first part of Sailor Moon S is coming to home video on November 15th 2016. You can pre-order this set from Right Stuf Anime for $62.99 US. This first set will include episodes 90 to 108 of the series which is a few episodes before Hotaru first shows up. Box art seen above shows that this will look a lot like earlier releases and include a full colour booklet with a lot of art and other information about the series. This set will include the show both in Japanese and English dialogue with optional subtitles. This will have Viz’s new English dub of Sailor Moon S. An extended trailer showing many new English clips from the early episodes of Sailor Moon S have been released which you can watch below. For a limited time pre-orders from Right Stuf will come with a collectible gold coloured coin showing Sailor Moon’s Cosmic Heart Compact, her transformation item during the S season of the anime. The set is exclusively available to pre-order from Right Stuf for now but it will be available from other retailers prior to its release. 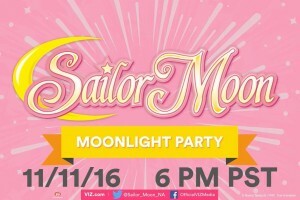 Though no details about a Moonlight Party were mentioned, it seems likely that one will take place at some point to give us a sneak peak of some dubbed episodes of Sailor Moon S. This has typically been done before all sets are released as a way to advertise the upcoming release. We’ll be sure to share any information about such events or dubbed episodes being added to Hulu as we learn about them.